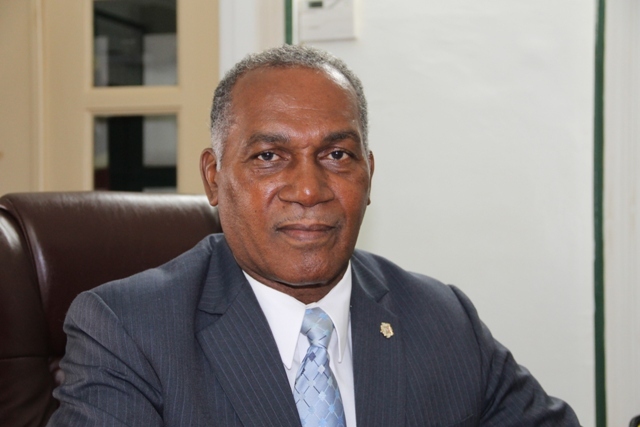 One of the challenges which we face, is the scourge of ongoing criminal activity and I believe that both the Federal Government and the Nevis Island Administration which are certainly working together hand-in-hand, have initiated a number of policies and strategies to deal with the matter of utilising the police, utilising the technology to combat the criminal activity in our country. It is, therefore, very disheartening and I cannot put it any better than that or any softer than that, that we have seen in the last week and a half and certainly yesterday, we have seen what I can only term as senseless acts of violence where two young men following on the loss of the young man in the brawl or whatever would have transpired in the bar in Charlestown, Philo Wallace, we now see a young man Mr. Walters of Taylor’s Pasture and another young man yesterday from Brick Kiln losing their lives. I want to place on record again that the Nevis Island Administration and the Federal Government have put in place a number of policies, strategies to deal with crime. We have increased the patrols. The police have been more active in their stops and searches. They have been more visible with respect of being in the community but the police cannot be everywhere. I want, therefore, to say to our people that we have to be involved in the matter of the fight against crime because even with all of the positive things which we know will happen in 2016 and which have been happening in the last year, where we have seen an improvement in the economy and so on, the incidence of violence in our country will be that single most destructive force which will cause those of us who live here, whether we are younger or older, to lose the prosperity which has been worked for, over the years. In the instance of the two recent shootings, I am asking anyone who has any information of whatever type to give it to the police or give it to someone who could pass it to the police. We want really to bring an end to this kind of serious violence and crime in our country. I am satisfied that the government is doing all that it can. We have bought vehicles for the police. We have sought to upgrade their vigilance and their community policing through their own six-point plan. We have provided training for the police officers. We have support systems from the British through the Bramshill police officers who are here on contract. We have sought support from the [ Federal Bureau of Investigation] FBI, two officers from that agency coming to St. Kitts and Nevis to assist in the government’s effort to combat crime. I am saying to us, in Nevis and in St. Kitts, that we now need, as citizens of this country, as the beneficiaries of what good will come or as the people who will lose the most because this is our country; this is where we live. Those who visit can leave and go back to their country. Those who visit and have resided with us, they can also leave but we have nowhere to go. So we need through our actions, through our involvement in our homes, through our involvement in our community, we need to enlist ourselves in the fight against criminal activity and if you know, therefore, anything, you see anything, tell it. There are secure lines or the safety lines, the tips line which you can call which is advertised all the time. There are certainly members in the community, leaders in the churches whom you respect and revere, who I’m sure would be able to guide you in the process of providing information. Whether it is your son or your daughter or your mother or your uncle, it doesn’t matter because if their actions are destroying our security, destroying the possibility of prosperity, then the burden and the duty to fight crime is the duty of every person. It is not a party, political issue. This is not a denominational issue. This is a matter for the entire populace of St. Kitts and Nevis and I am enlisting that. Yesterday, I had the privilege to welcome two visitors who want to invest in Nevis. We discussed what they would like to do. We looked at some of the areas for development. We visited a couple of properties in which they may want to invest but they clearly want to do something in Nevis because of the physical beauty but the physical beauty is only one aspect of it; there are other counties which have that. One of the things which they said to me, their clients want to know that when they come here, they are safe and that the security is high. They didn’t talk about the beach. They didn’t talk about the mountain. They didn’t talk about the roads. Their clients want to know when they come here that they are safe. My appeal to you today is for us to see this as our responsibility to provide that area of security and if we know that anyone commits a crime, we have a duty to reveal that information. If you are afraid to do it because you say you don’t trust the police, talk with your pastor, talk with your representative, talk with someone who you can trust and who can handle the matter in a manner which is confidential but really and truly, we want to bring an end to this serious crime in our country. It’s true that gun violence is not the only crime. We have domestic violence; we have child abuse; we have just a loudness in our community. I have spoken to the police officers in respect of the loudness and the loud music on weekends and during the night and certainly, there are laws which govern that and we are going to ensure that those laws are enforced, that where businesses need to have permission to play loud music, they must get permission. The law about the sale of alcohol beyond certain hours will be applied. If one needs to have a party, if one needs to have a public function, then permission must be sought because the noise and the anti-social behaviour, is creating difficulties for what has been a peaceful country and which we must restore. So, my appeal to you today is for us to see you as supporting the government. We’ve done a whole lot of things: vehicles for the police, equipment for the police, training for the police, support from international agencies for the police, increased patrol using the army and police but the police need your eyes; they need your ears; they need your support to restore Nevis to the peaceful, harmonious community which we once enjoyed and which we need to enjoy. Let me say I don’t have any Green Card; I don’t have any other passport than a St. Kitts and Nevis passport. There are some who do so it doesn’t matter to them. I have nowhere to go and I want us to see it in that light. This is our country. I appeal to you today, as we go into the budget when we will be projecting good things. We’ve seen the increase in employment. We’ve seen different projects being opened up. The sad thing is the last shooting took place on a work site. That is a sad thing. So it means that here was someone going to work and someone goes there and commits this crime. That, for me, is unforgivable, unforgivable and so, my fellow Nevisians and Kittitians, I want us to understand that the matter of fighting crime is our responsibility. We talk in St. Kitts of the highway robbery, drive-by shootings. These things cannot be comforting and, therefore, I’m appealing to you today, that each one makes a determination that we will provide the support in the fight against crime. Thank you and may God give us wisdom in this matter and let us not be afraid. I said that at a forum last week when we were discussing that. The more we are afraid or we exhibit fear in the face of criminality, the more they back us against the wall, then there’s no way to go and we get squashed. So that’s my appeal to you today. I want to extend to the families of those who have suffered as a result of violence, shooting death, losing a father, son, uncle, brother, whatever, losing property, suffering the violation of their homes, I want to extend, on behalf of the [Nevis Island] Administration and the Federal Government as well, our serious, deep concern and to re-establish and pledge ourselves to do what we can and to put in place to enhance and improve and increase our efforts to rid ourselves of criminality in St. Kitts and Nevis.